Absolutely love this. Really deep, warm, spices with a good kick of black tea. Calming, reviving and wonderful. Didn't realise that it was herbal tea. Might fault probably, but it's gone to the charity shop as it was very overpowering and room smelled for days. Love this tea. Flavour is so nice and the packs are excellent value. 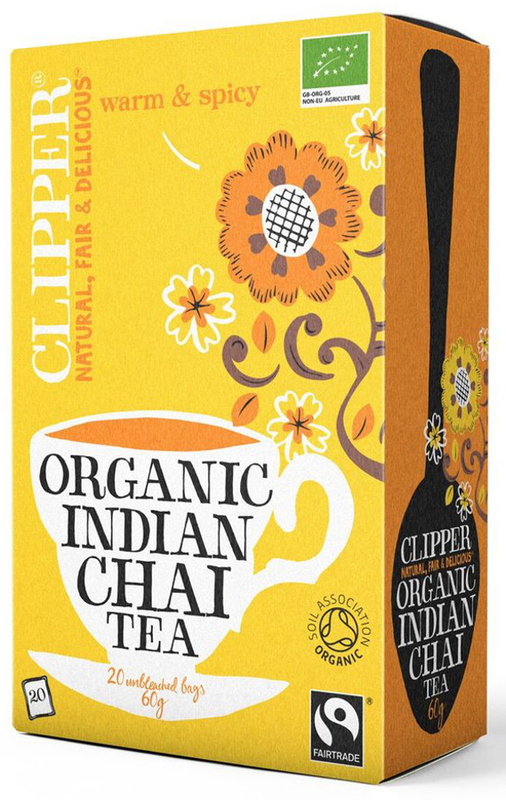 A: Hi, according to Clipper this is "A black tea with a warming blend of traditional spices. 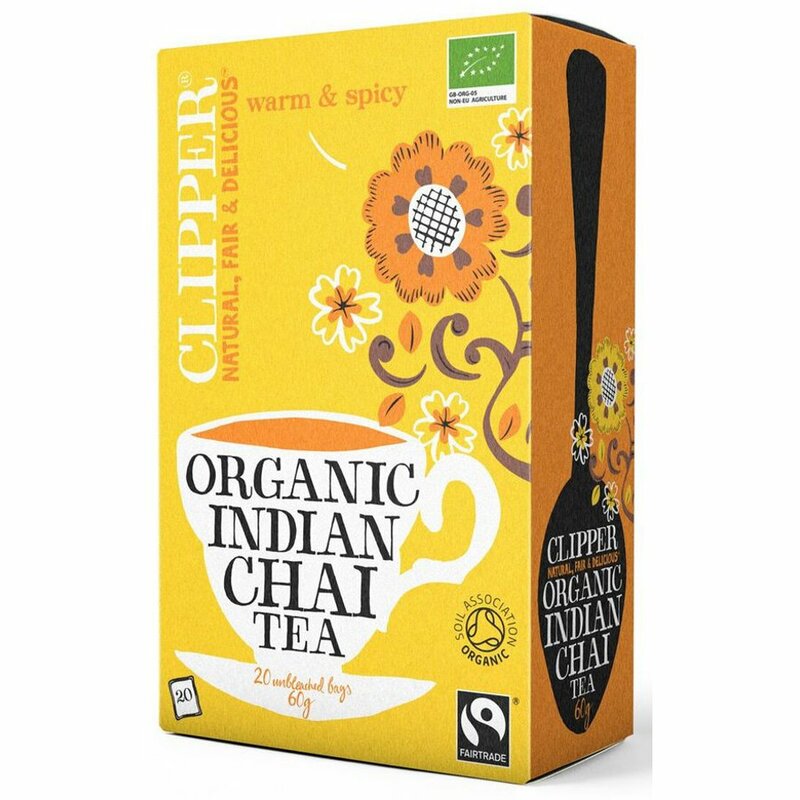 Indian Chai is evocative of the chai stops of India and is incredibly refreshing with a rich, creamy flavour, bright colour and a wonderfully soothing and distinctive aroma." The ingredients are as follows; Tea, cinnamon, lemon peel, cloves, fennel. I hope that helps, Marty.